The central theme of the summit ‘Disrupt or Get Disrupted’, invited academia, government and senior HR leaders to relook at higher education amidst technological advancements. The summit was chaired by Prof. Dr. Uday Salunkhe, Chairman, CII Western Region, Higher Education Sub-Committee, and Group Director, WeSchool. The panellists discussed topics such as, ‘Voice of Stakeholders: Expectations and Responsibilities’, ‘Technology Disruption & Future of Work’, ‘Collaboration, Co-creation & Incubation’, ‘Role of Self for the Future of Education’. 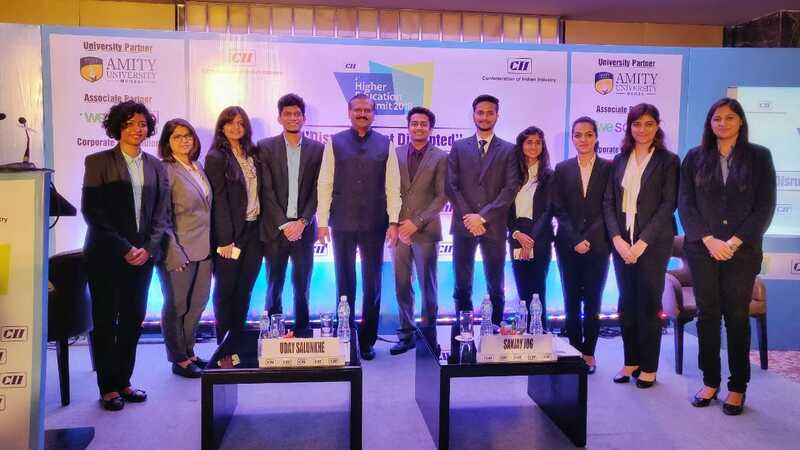 Setting the context to the theme, Prof. Dr Uday Salunkhe, Chairman, CII Western Region Higher Education Sub-Committee, and Group Director, WeSchool said, “Emergence of disruptive technology is driving innovation and offering a plethora of opportunities for learners offline and online. With aggressive enhancement in the fields of AI and refined capabilities in machine learning, education sector needs to create leaders who are well-equipped for the new roles. Value based learning with focus on developing critical thinking is a skill which will leverage the role of technology. Educational institutes have to go through disruption themselves in order to prepare the new-age workforce for the constantly disruptive nature of jobs. The institutes will have to be built on the principle of ‘collaboration’ where the focus will be on imparting problem solving skills. In her inaugural address Shaina NC said, “The State government will be happy to facilitate Industry and Academia interventions through Industry Partners such as CII. There is a need to give a thrust to Higher Education and concrete efforts have to be made with specific growth areas in mind”. 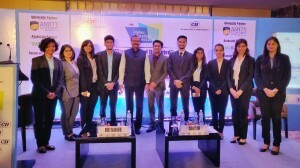 The summit was attended by prominent personalities such as Sanjay Jog, Chief People Officer, Reliance Jio; Dr. Suhas Pednekar, Vice Chancellor, University of Mumbai; Lyndon Rego, Executive Director, Centre for Leadership at African Leadership University, Mauritius; Sujatha Sudheendra, Head-HR, Aditya Birla Finance; Sunil Khanna, Chairman, CII WR Sub-Committee on Skill Development & President and Managing Director, Vertiv Energy amongst others.